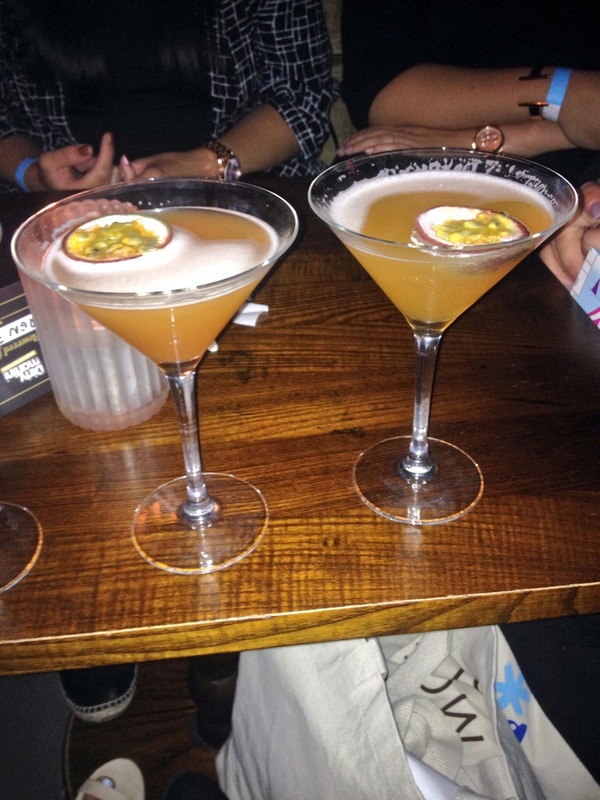 My third event of the day last Saturday came in the form of drinks at Dirty Martini, at their Hannover Square bar in London, for the #DMBloggerParty. Although I’ve not been out too much in London, I had heard of Dirty Martini before – or rather, seen it on Made in Chelsea! Their Hannover Square branch has recently reopened after a major refurbishment and it’s really easy to get to, situated just off Oxford Street. The #DMBloggerParty was my second London meet up and I was really looking forward to seeing everyone, plus the friends that I’d made in the day time at the #BloggersFestival, and catching up over some cocktails. Obviously Dirty Martini’s speciality is martinis (the clue is in the name!) and we arrived just in time for happy hour (which is 7pm – 8pm by the way) so all of their special martinis were half price. The prices are usual London prices at around £9 per cocktail so great savings were made with happy hour and I for one stocked up. I tried the peach and wild tea and the passionfruit martinis and both were absolutely delicious. I really like my alcohol to be fruity and full of flavour and these did not disappoint. There was a really nice atmosphere in the bar in the early evening with booths where we could chill out and gossip about the day’s events and then as the night went on, there was dancing and a really cool girl DJ. I was so exhausted after the day’s events that I left to go home at about 11 but I’m told some of the girls were there until the end. We were also all given a 15% off black card so I’m definitely going to take all my friends next time we’re in London. Thanks to Lauren from Blonde Vision, Jenny and Abi for organising the #DMBloggerParty. If you want to get involved with some London blogger events, follow @LdnMeetUp on Twitter. And, of course, a big thank you to Dirty Martini for our tables. Find out more about Dirty Martini here. Ahhhh, this was such a brilliant night! Hopefully they’ll be another one soon!